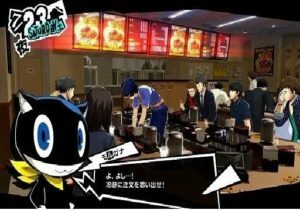 Part-time jobs in Persona 5. 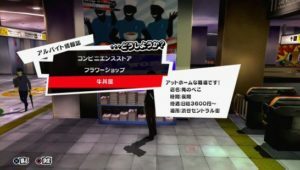 The different jobs that you take part in in Persona 5, along with their pay, rewards, and requirements for starting. Part-Time Jobs are available starting on 4/20. By working part-time jobs other than convenience stores, you can raise not only your salary but also your social stats. Below is a list of some of the part-time jobs and their job list/time/conditions available for your character to do in order to earn cash increase social stats. Found on the Central Neighborhood on Shibuya Triple Seven, this job pays 2800 yen and doesn’t raise any social stats. The Flower Shop is located in Shibuya Station Underground Mall (Rafresi Shop.) It is a small flower shop. You’ll be working this part-time job quite often because of the Kindness it offers. You can work here any day of the week and at any time. 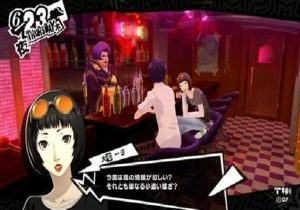 After doing this job twice, a Mementos mission, “The Mindless Assault Incident”, will appear. Occasionally, you may receive a request to arrange a certain flower bouquet for customers. You will receive more pay and “Kindness” points for successfully fulfilling the request. The Beef Bowl Shop is located on Shibuya Central Street, “Ore no Beko.” Much like at the Flower Shop, you can work this part-time job any day and at any time. 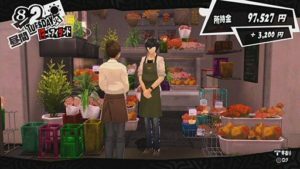 To unlock the the Sun Arcana Social Link, you will have to work this job twice after speaking to him in front of the train station at Shibuya. Occasionally, this job gets busy and there will be a flood of customers that come in. You will have to remember their orders and repeat them after they are made. Get their orders right and you will get higher pay for the evening. Found in Shibuya, this bar starts hiring in the second quarter of the game. 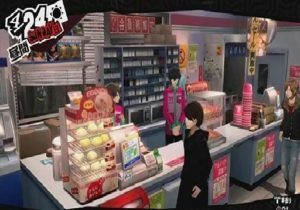 You will have to start the Co-op route with the Devil Arcana to begin this part-time job.The attributes that you will be gaining while working here is dependent on the customers you choose to speak with while you are on your shift. Depende de qual trabalho. Na Crossroads vc precisa de charme nivel 4 ou 5 se não me engano. This is pretty upsetting to see that this hasn’t been updated yet. Has anyone got an English list of the correct flower names? @FireCloud42 thanks for the heads up, will be updating it asap.